This CME activity is jointly provided by the University of Cincinnati and RedMedEd. Support for this activity has been provided through an educational grant from Pfizer. This activity has been designed to meet the educational needs of medical oncologists, laboratory scientists and clinical investigators specializing in all aspects of cancer research, and other health care professionals interested in understanding the research advances in CDK4/6 inhibition. Preclinical and clinical findings suggest that CDK4/6 inhibition may confer therapeutic benefits in numerous tumor types and improve outcomes in patients with mantle cell lymphoma, liposarcoma, melanoma, and non–small cell lung cancer. Additionally, studies of CDK4/6 inhibition in other cancers are currently under way. In this activity, our expert panel discusses the preclinical rationale and clinical applicability of CDK4/6 inhibition alone or in combination with other signal transduction pathway inhibitors for the treatment of patients with mantle cell lymphoma, liposarcoma, and other solid tumors. Downloadable resources (including supplemental figures and tables) will also be provided. Richard S. Finn, MD is an Associate Professor of Medicine in the Division of Hematology/Oncology at the UCLA David Geffen School of Medicine and Director of the Signal Transduction Program in the Jonsson Comprehensive Cancer Center at UCLA. He currently splits his time between patient care and laboratory and clinical research. His research interests lie in the development of molecular targeted agents and subinvestigator in trials exploring the use of targeted therapies in breast and hepatocellular cancers. He has a particular interest in identifying predictive markers of response to novel therapeutics. His work has been published in journals such as the New England Journal of Medicine, Lancet Oncology, Journal of Clinical Oncology, Cancer Research, Clinical Cancer Research, Hepatology, and Cancer Cell. Dr. Finn has also given oral presentations at major meetings including American Society of Clinical Oncology (ASCO), European Cancer Conference (ECCO), and the American Association of Cancer Research (AACR). Most recently, he led the approval of palbociclib, the first CDK4/6 inhibitor in cancer medicine, from preclinical development to global registration. 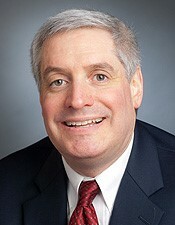 Dr. Finn is a member of ASCO, American Association of Cancer Research (AACR). He and is on the editorial board of Clinical Cancer Research and Breast Cancer Research. Gary K. Schwartz, MD, is a recognized leader in the field of translational research and has been able to bridge the clinical and basic science elements of drug development. Previously, he was an Attending Physician and Member at Memorial Sloan-Kettering Cancer Center and Chief of the Melanoma Sarcoma Oncology Service. His clinical focus is in melanoma and sarcoma. He is the Principal Investigator of a series of phase I and II trials that are based on his laboratory studies. His work has extensively been supported by his own peer-reviewed grants. This has included an R01 to develop cyclin-dependent kinase inhibitors with chemotherapy, an R01 and a SPORE grant to evaluate combinations of receptor tyrosine kinase inhibitors of IGF-1R and PDGFR with inhibitors of mTOR in sarcomas, a RAID and an R21 grant to develop the sphingosine kinase inhibitor safingol with cisplatin, a DOD grant to develop the botanical herb huanglian, and an FDA-R01 to develop imatinib for the treatment of patients with c-kit mutant melanomas. He is principal investigator of the Columbia University Minority/Underserved Site NCI Community Oncology Research Program. In addition, he was recently awarded the Team Science Award by the Melanoma Research Alliance to lead a national effort in developing new therapies for patients with ocular melanoma. His contributions to teaching and mentoring have been recognized by his former fellows, who awarded him the annual Teaching Award on multiple occasions, and by the junior faculty for the Excellence in Mentoring Award. In 2000 and 2006 respectively, he received NCI K24 and K12 Clinical Oncology Research Career Development Awards aimed at the mentoring of medical trainees in translational research. He has mentored several of our leading junior faculty on NCI Career Development Awards. In addition, Dr. Schwartz has served on numerous committees for the American Society of Clinical Oncology, the American Association of Cancer Research, and the NCI—including the NExT committee, established to assist the NCI in identifying new agents for drug development. He is co-Chair of the Experimental Therapeutic Committee of the Alliance, which has provided a platform for junior faculty to take leadership positions on national clinical trials. He also serves as Vice Chair of ASCO’s Targeted Agent and Profiling Utilization Registry (TAPUR) Study Molecular Tumor Board. In addition, he has authored or co-authored over 200 manuscripts in basic and clinical cancer research. 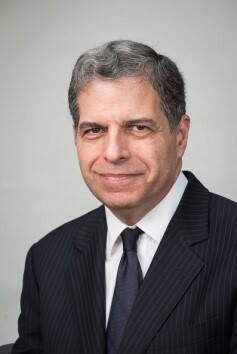 Geoffrey I. Shapiro received his doctorate in molecular biology and virology and his medical degree at Cornell University (Weill Medical College). He completed postgraduate training in internal medicine at Beth Israel Hospital, where he served as chief medical resident, and also a fellowship in medical oncology at Dana-Farber Cancer Institute, during which he investigated the role of cell cycle–related proteins in lung cancer. He joined the Dana-Farber faculty in 1994. 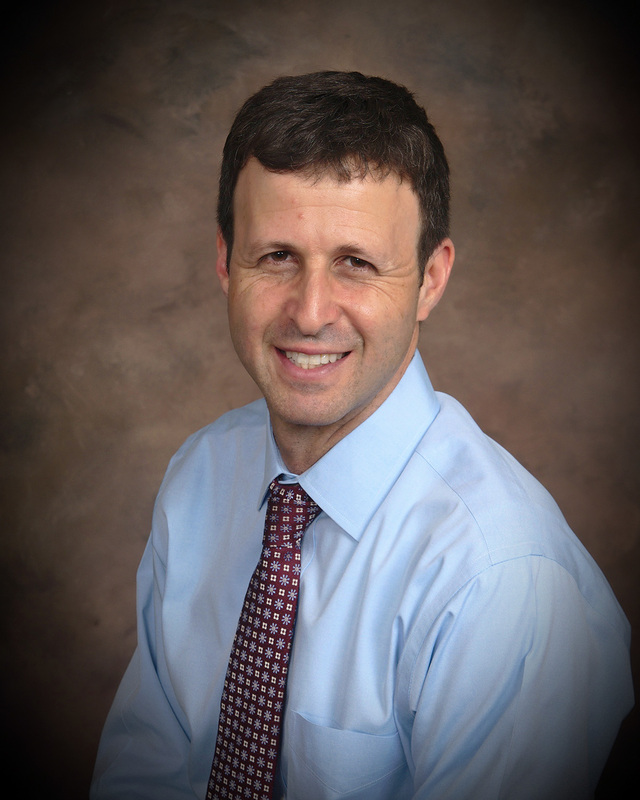 Dr. Shapiro is board certified in medical oncology and internal medicine, and he holds membership in the American Association of Cancer Research (AACR), the American Society of Clinical Oncology, and the International Association for the Study of Lung Cancer. For the AACR, Dr. Shapiro serves on the Clinical Trials and Scientific Program Committees. He has received numerous honors, including the Cancer Therapy Evaluation Program/National Cancer Institute (NCI) Michaele C. Christian Oncology Development Award. An active researcher whose work has been supported by the NCI, Dr. Shapiro conducts both basic and translational research on cyclin-dependent kinase inhibitors and directs preclinical and clinical studies of several potent pharmacologic cyclin-dependent kinase inhibitors. He has published extensively in the peer-reviewed literature and has authored several reviews, book chapters, monographs, and editorials. Additionally, Dr. Shapiro mentors fellows and faculty on preclinical translational projects and clinical trial development and teaches pharmacology at Harvard Medical School. This activity has been planned and implemented in accordance with the accreditation requirements and policies of the Accreditation Council for Continuing Medical Education (ACCME) through the joint providership of the University of Cincinnati and RedMedEd. The University of Cincinnati is accredited by the ACCME to provide continuing medical education for physicians. The University of Cincinnati designates this enduring material for a maximum of 0.5 AMA PRA Category 1 Credit™. Physicians should claim only the credit commensurate with the extent of their participation in the activity. Dr. Finn will discuss the off-label use of abemaciclib, palbociclib, and ribociclib. Dr. Shapiro will discuss the off-label use of abemaciclib, G1T28, palbociclib, and ribociclib. This educational activity contains discussion of published and/or investigational uses of agents that are not indicated by the US Food and Drug Administration. The University of Cincinnati, RedMedEd, and Pfizer do not recommend the use of any agent outside the labeled indications. The opinions expressed in this educational activity are those of the faculty and do not necessarily represent the views of the University of Cincinnati, RedMedEd, or Pfizer. Please refer to the official prescribing information for each product for discussion of approved indications, contraindications, and warnings. The University of Cincinnati is committed to resolving all conflict-of-interest issues that could arise as a result of prospective faculty members’ significant relationships with drug or device manufacturer(s). The University of Cincinnati is committed to retaining only those speakers with financial interests that can be reconciled with the goals and educational integrity of the CME activity. There are no fees to participate in the activity. Participants must review all activity information, including the learning objectives, disclosure statements, and content. To receive CME credit for participation, participants must complete the posttest (achieving a passing grade of 80% or greater) and program evaluation. Certificates can be printed immediately. Accreditation Support: Contact the University of Cincinnati Continuing Medical Education Department at uccme@uc.edu or call (513) 558-7277. Technical Support: For technical questions related to this activity or issues with your CME Certificate, please contact RedMedEd at (610) 251-6841 or education@redmeded.com. © 2017. This CME-certified program is held as copyrighted by the University of Cincinnati and RedMedEd. Through this notice, the University of Cincinnati and RedMedEd grant permission of its use for educational purposes only. These materials may not be used, in whole or in part, for any commercial purposes without prior permission in writing from the copyright owners.